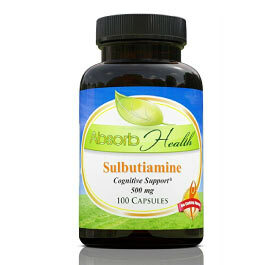 Sulbutiamine is a synthetic vitamin made of two thiamine molecules that are bound by a sulfur group. 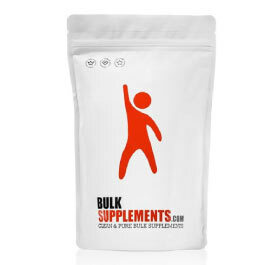 Thiamine, also known as vitamin B1, is essential for several metabolic processes including breaking down carbohydrates into glucose (cell respiration) and metabolizing fats and proteins. Additionally, thiamine is crucial for proper nervous system function and to maintain healthy organs such as the liver and skin. Thiamine can be obtained through the diet by eating nuts, meats, oats, eggs, and grains, among others. While it is not common to be deficient in thiamine, taking a B1 vitamin or B complex can ensure that enough thiamine is present. Since it is water soluble, the body will excrete what it does not need. 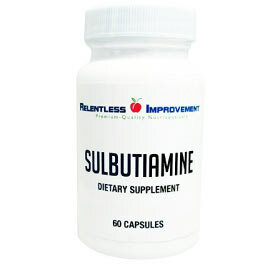 Taking a sulbutiamine supplement is another way to ensure that the body obtains all the thiamine it may need. It is used to treat symptoms of vitamin B deficiency, which include irritability, fatigue, nausea, and depression*. 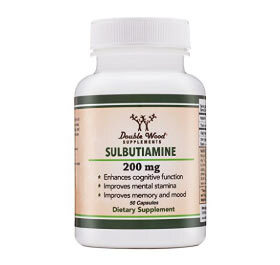 Sulbutiamine has been used primarily for neurologic purposes, as it is fat soluble (unlike thiamine) and more readily crosses the blood brain barrier to enter the brain. It has been used to improve symptoms of Alzheimer’s disease and depression as well as diabetic neuropathy. 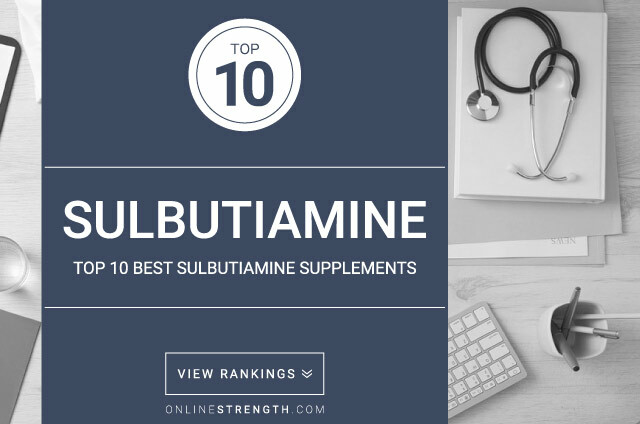 Research also shows that sulbutiamine can help improve symptoms of fatigue and weakness, and therefore may also improve athletic performance. While preliminary research provides some evidence for these claims, further research must be conducted to verify them and determine the true mechanism of action. *If experiencing these symptoms, a physician should be consulted to determine the cause before self-medicating. 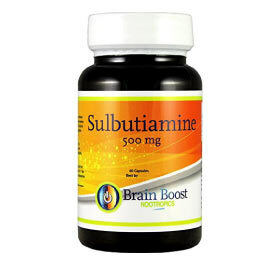 There are certain brand names associated with sulbutiamine including Arcalion, Enerion, and Youvitan. It is also known as bisibuthiamine. Long term effects of sulbutiamine have not yet been determined, and therefore a physician should be consulted if considering taking the supplement for more than 4 weeks. While a standard dose has not yet been determined, studies have used dosages of 400-600mg daily for up to 4 weeks.